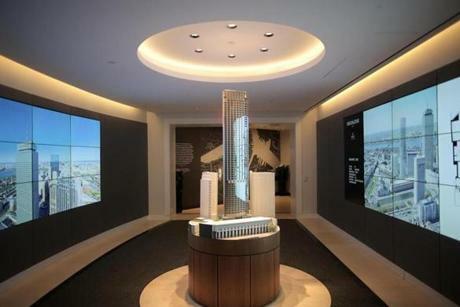 At One Dalton in Back Bay, prospective buyers passed a map room highlighting Boston’s amenities before entering a room with an architectural model of the building with adjacent programmable wall screens. 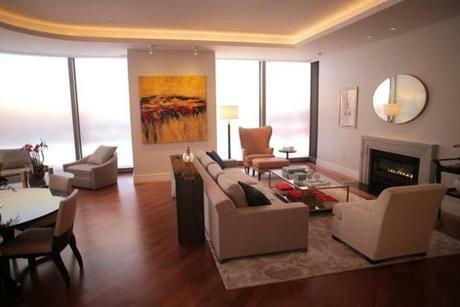 A model room devoted to interior designer Thierry Despont for One Dalton. 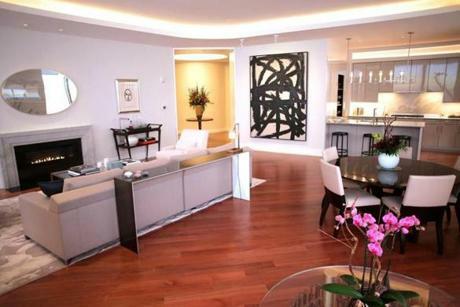 A model living room for One Dalton. 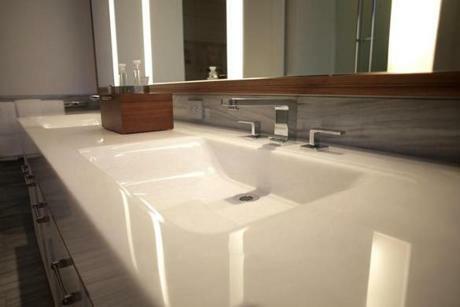 A model master bath for One Dalton. 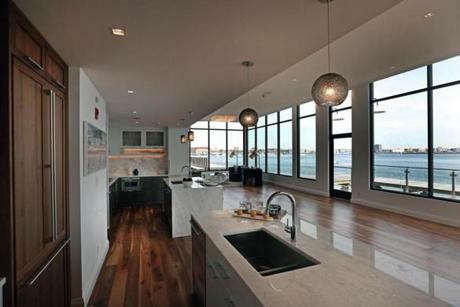 A model kitchen for One Dalton. 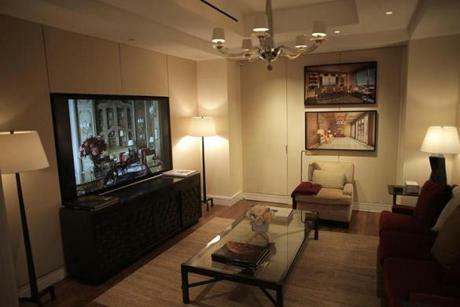 A model closets in the master suite for One Dalton. 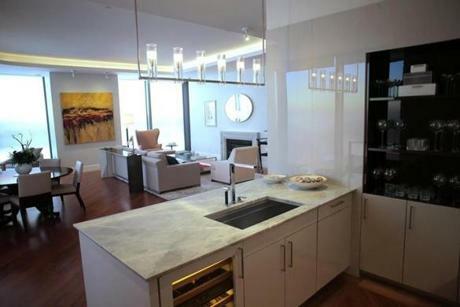 A model sink (pictured here) in the master bath has a marble top that costs $63,000 for One Dalton. 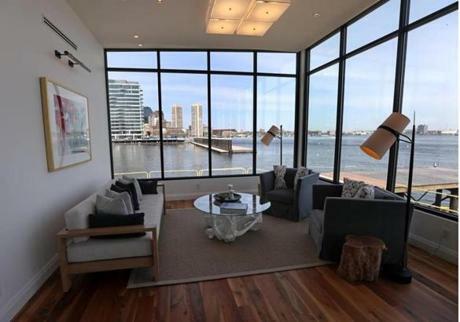 At Pier 4 in Boston’s Seaport, the living area comes with a city view. 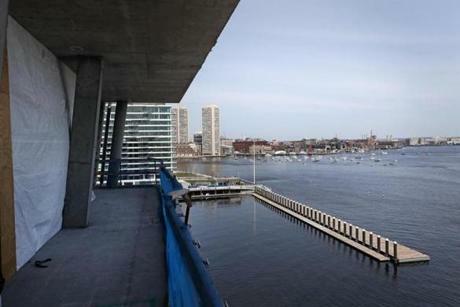 At Pier 4, a deck under construction with a city view. Pier 4 model home interiors, with two different styled kitchens and a view of Boston Harbor.